Small Washing Machine Hash Zipper Bag Discounts Apply ! 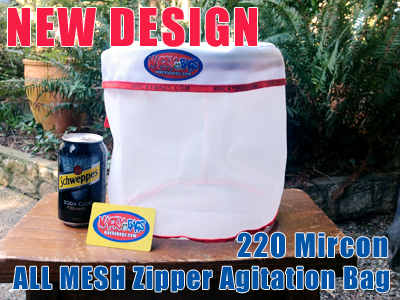 This small zipper bag can be used in any washer or agitator. 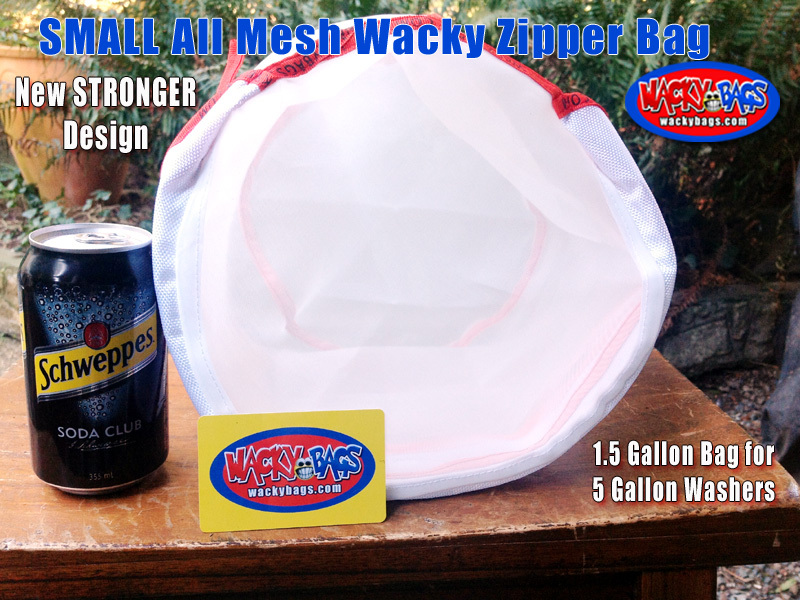 These all mesh bags are easy to use and easy to clean. The cylinder shape prevents herbs from building up in corners, the zipper keeps the herbs inside the bag for easier clean up. 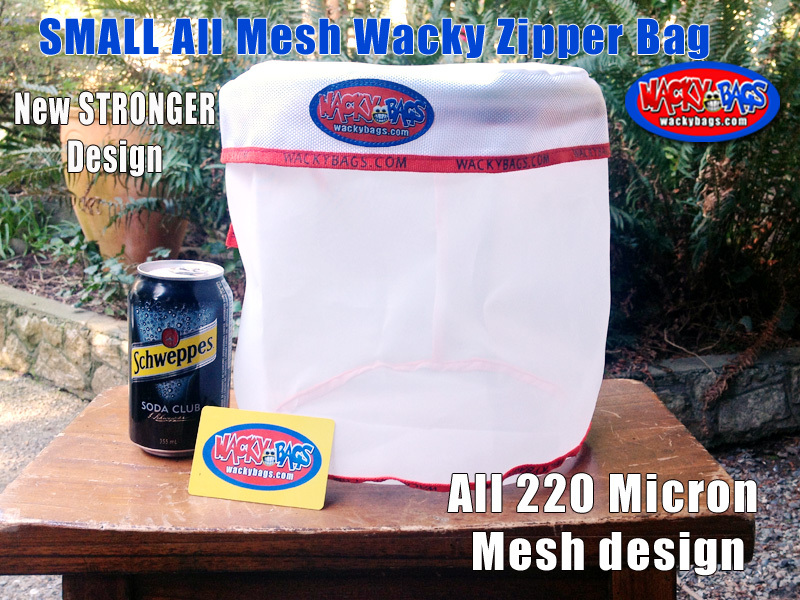 The washing machine bags are made from a stronger, thicker 220 micron nylon mesh with reinforced seams, a larger zipper cover and an industrial zipper. 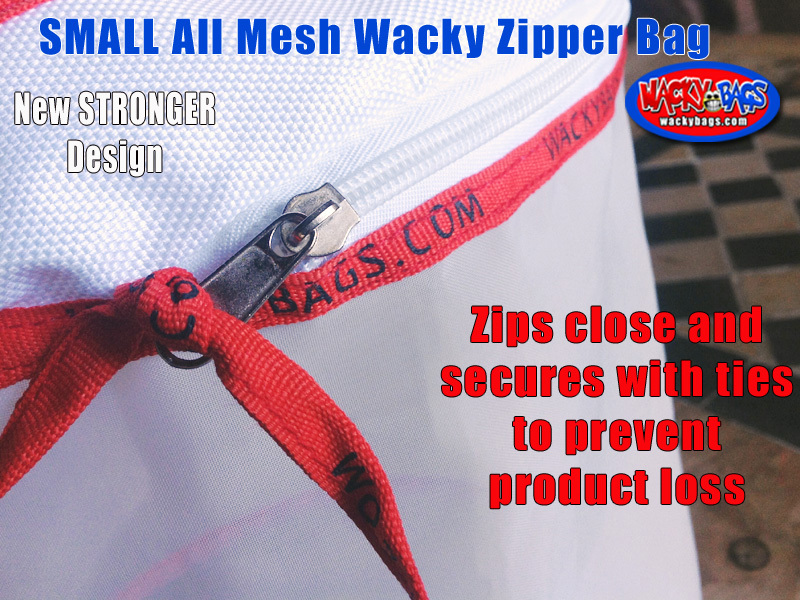 The bag zips closed, the zipper is secured with two ties. Insert one tie threw the eye of the zipper pull tight and knot with the second tie, fold the cover over the zipper and you are ready to insert the bag into the ice and water mixture. 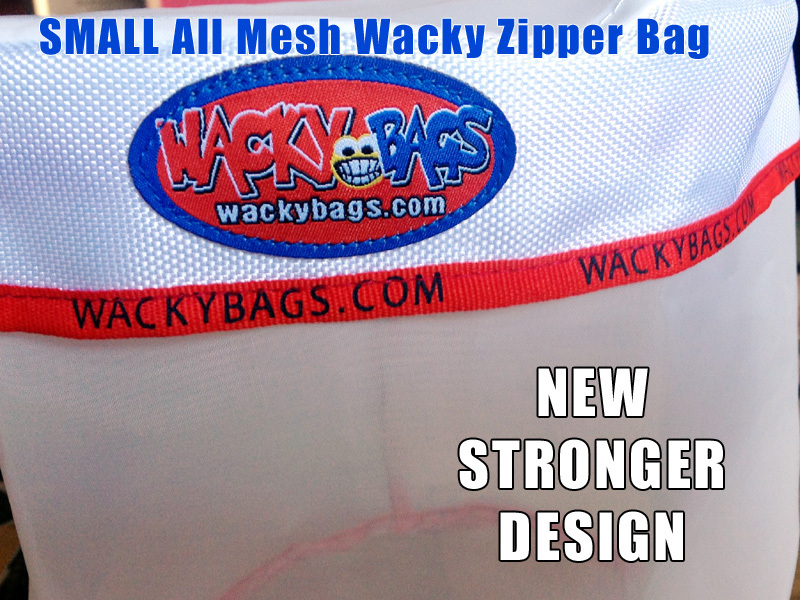 Wacky Bags are affordable and durable. 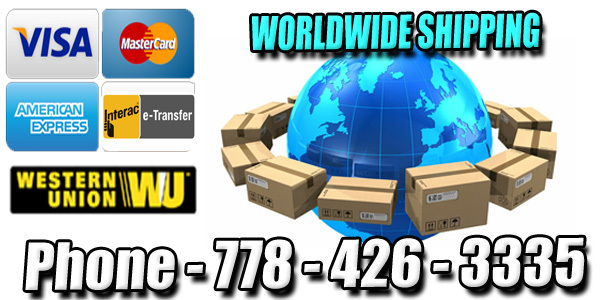 Get the quality you deserve at a price you can afford.